Vintage/veteran since I was about seven when my father bought a 1938 SS Jaguar saloon. I was hooked. My first car was a 1969 Morris Mini Cooper. From memory, about $1500. I had to get a loan. I took it on a drive from Brisbane to Melbourne just after I got it and I only got passed by one car - a Falcon XY GTHO - on the trip. I have three Jaguars: a 1962 3.8 Mk2, a 2016 Jaguar F Type Coupe and a 2018 Jaguar F pace R sport. 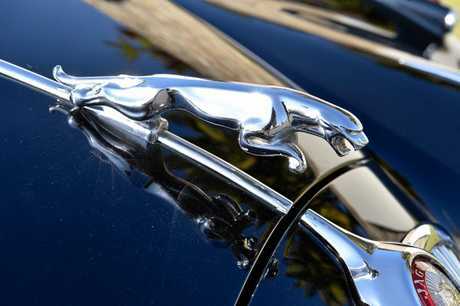 What do you love about the Jaguar Mk2? I have always loved it. There was a decision when I bought the Mk2 to buy an XJ6 but I always loved Mk2s. I bought it in 1977 from a retired gentleman in Clayfield, Brisbane, who wasn't allowed to drive any more. I had an interview and took a test drive. A few days later, he gave me a call and told me he would like to sell it to me. When I bought it, the car was old English White, auto gearbox and steel wheels. 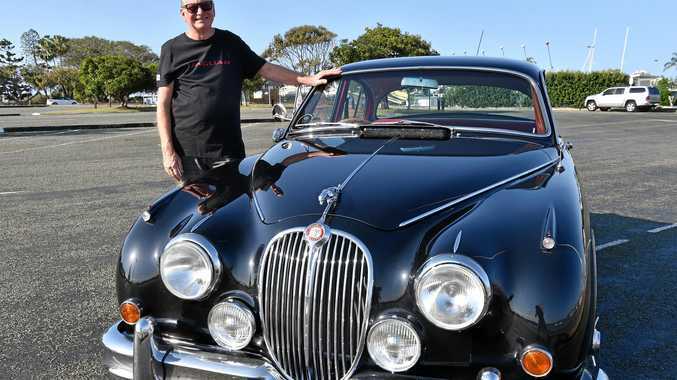 Over the years, I changed to a Jaguar four-speed overdrive gearbox and wire wheels. I've restored it three times. The last time was a couple of years ago where it was a back-to-metal restoration. I've had it so long and done nearly everything myself more than once. Every now and again it goes out for a drive - not too often, though. No names, but my car does have its own personalised plates. I do work but I also have a mechanic mate with a hoist who does jobs for me. I haven't considered my next as I have a garage full of Jags. 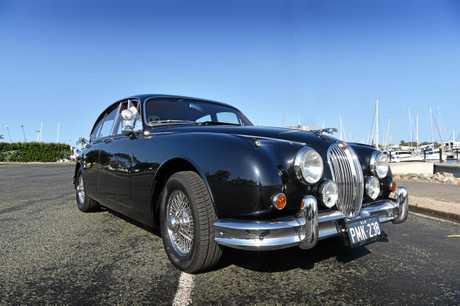 MODEL 1962 Jaguar Mark 2. ENGINE 3.8-litre six-cylinder, from the factory it generated 164kW (220hp) and 325Nm (240lb-ft), with an ability to sprint from standstill to 100km/h in 8.5seconds. TRANSMISSION Four-speed electric overdrive gearbox, rear-wheel drive. TYRES 205 65 15 Pirelli. BRAKES Four-wheel Dunlop discs (first production car to have as standard in 1959). DIMENSIONS Length 4591mm, width 1695mm, wheelbase 2727mm. DETAILS Fitted with chrome wire wheel, Jaguar midnight pearl exterior with cherry red leather interior and burr walnut wood dash and door capping.